Cleopatra Records is proud to announce the signing of electronic music artist INHALT – Cleopatra Records, Inc.
INHALT, German for �content�, are the duo of European Natives Philip Winiger and Matia Simovich. 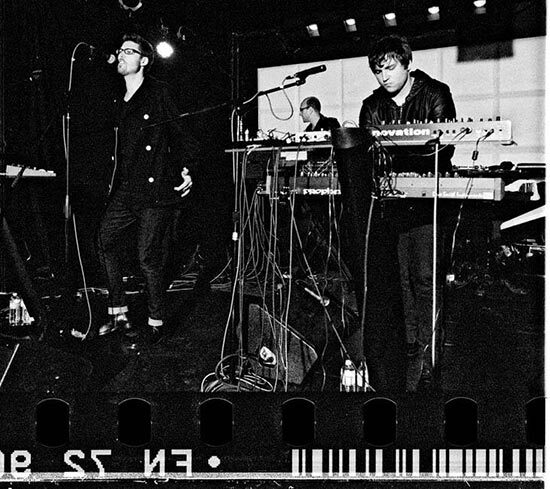 Formed in San Francisco in 2009, the pair immediately recognized their mutual philosophy of sonic fidelity and creative integrity, rather than nostalgia. Their first three releases�a split 12� for London�s seminal World Unknown Records and the �Vehicle� and �Occupations� EPs for San Francisco�s cult powerhouse Dark Entries Records� firmly established INHALT�s sound. What emerged was a well defined pop sensibility informed by European Minimalism and a sincere, yet playfully cynical sense of humor. As much Kraftwerk as John Carpenter but with a pronounced drive of Moroder disco and obscure Italo 12�s, INHALT�s sound has found home in both studious personal listening and the crowded dance floor. Hot on the heels of the �Simulacra� remix EP for London�s legendary Emotional Especial record label, INHALT not only ravaged the dance-centric anglo beat (fueled by remixes from heavyweights Timothy J. Fairplay and Scott Fraser) but found themselves in their ideal creative intersection: the road between the lyrical response to a challenging world, a sublime and elegant production technique, and the never ending pulse of the transistor rhythm machine.